February 2017 - Sonbuilt Custom Homes Ltd. Winner of “Best Certified Home” Award! We feel truly honoured to win the Special Achievement Award “Best Certified Home” for our custom home “Panama”. 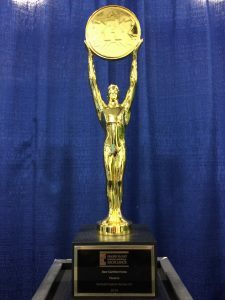 This award was presented on February 4, 2017 at the inaugural Housing Awards of Excellence Gala by the Canadian Home Builders Association of the Fraser Valley. The Panama is a home we designed and built for a couple in Langley. We designed this home with wide hallways and doorways, open spacious kitchen, dining area, a great room for entertaining, level front entry with both laundry and master bedroom on the main floor, low threshold shower in the ensuite, and backing in all washrooms for future grab bars. The home is a beautiful showpiece for entertaining family and friends. This home is certified R-2000 and received an air test of 0.4 air changes per hour. It has an ICF foundation, triple glazed windows, airtight drywall, hot water on demand, low flow toilets, and an hrv for fresh air. Building for this couple was a fabulous experience. We still enjoy stopping in and visiting every so often. For more information on the R-2000 Standard, check out this video! We are very excited to be in the Fraser Valley Home and Garden Expo in Abbotsford at Tradex next weekend! Come visit us at booths 212, 213, and 214. 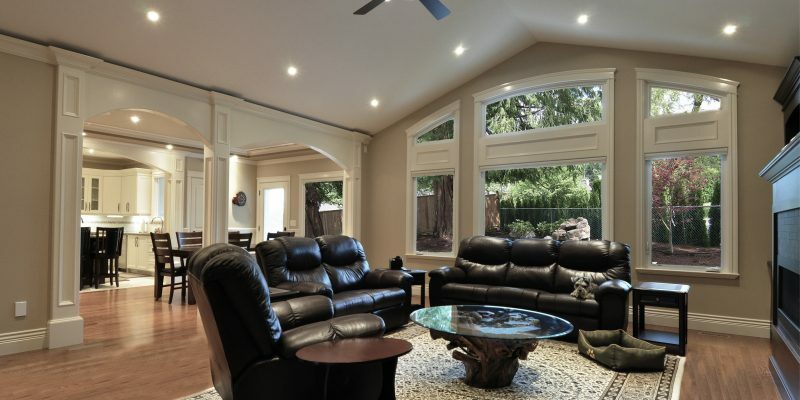 This Fraser Valley based home and garden show has a vast array of both interior and exterior products for your home and features a number of landscaping, remodeling, interior design, and home construction companies from areas throughout Greater Vancouver. 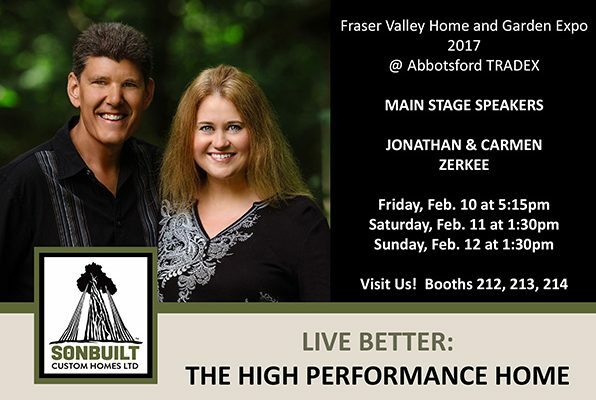 As well, both Jonathan and Carmen Zerkee of Sonbuilt Custom Homes are very pleased to be guest speakers on the Main Stage at the show. We are speaking Friday at 5:15pm, Saturday at 1:30, and Sunday at 1:30pm. Come hear our presentation “Live Better: The High Performance Home”.